Innumerable businesses claim to know how search engine optimization can benefit their website or the brand altogether. However, in reality, there are very few of them who can actually make the best out of SEO techniques and best SEO tool without the help of an expert by the side. Right from bringing more organic traffic to building credibility and trust among your audience, there are several considerable benefits that SEO can fetch you, including better user experience for your visitors, increased engagement, and much more. Accordingly, the yearly revenue that E-commerce websites bring across the world is surely fascinating. Not just in millions or billions, but the figure comes fairly around trillions. And, such a huge industry is definitely impacted by search engine optimization in some or the other way. This makes it a noteworthy reason for why you shouldn’t be neglecting this process at any cost and start working on their SEO strategy and tools as soon as possible. For those who are just trying their luck in the world of online business, investing a huge amount of SEO might not seem to be possible. After all, the money crunch is always hovering over the head for beginners, right? Hence, in such a scenario, to help you out of the mess without compelling you to spend enough, there are amazing tools that can help you execute SEO in just the right way. Keeping everything aside, ScrapeBox is one such tool that has been acquiring accolades and appreciations from the masters of SEO as well. So, let’s move forward and dive into ScrapeBox features. Here, you’ll get to know everything that you can expect from this worthwhile tool. One of the most effective features of this tool is this Meta scraper. It allows you to load a massive list of URLs and enables you to extract the descriptions, titles, as well as the keywords from every URL of the list. Since it is a multi-threaded feature, you can use this scraper to procure this data from hundreds of web pages just within a minute. Once you are done with the extraction, you can then filter out those URLs that either has some sort of error or don’t feature meta keywords. After this extraction and filtering, exporting this data to a .csv, .xls, or a .txt file wouldn’t be a tough task for you. This data can help you amazingly when it comes to either conducting research on your competitors or auditing your own website with competitive metadata. Since search engines make use of RSS feeds to discover new content, submitting your content for the same will help speed the indexing of recent URLs and will make your content easily available for your readers as well. Hence, with the help of RSS submit feature of this tool, you would be able to submit or ping the list of RSS feeds to several RSS Feed aggregators without facing any hurdles. 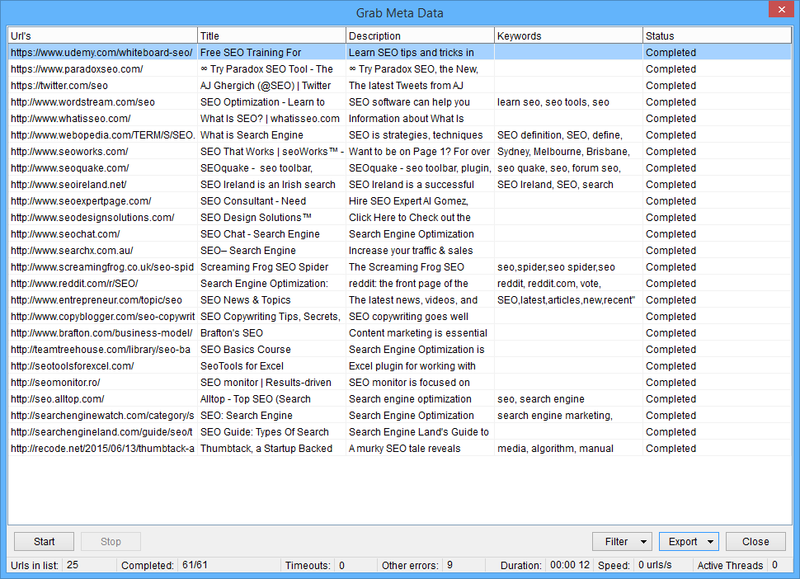 Generally, ScrapeBox has up to 150 services to submit RSS feeds. However, if you want, you can easily add, remove, and customize this list as per your own choice. 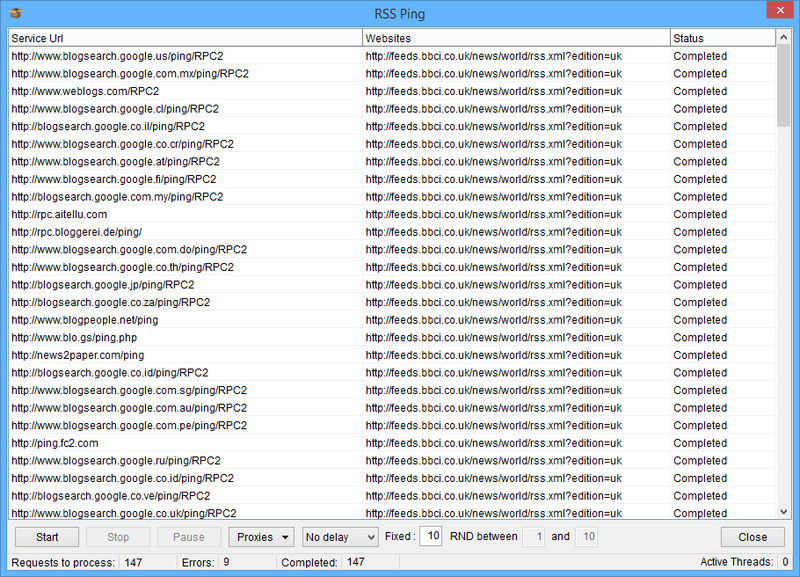 Moreover, if your website doesn’t support automatic creation of RSS feeds, or you would want to have custom RSS feeds with URLs from different domains, then this tool even offers RSS Feed creator. This function can help transform a raw list into an XML feed, making the submission easier and instant. If you were looking forward to finding such a tool that can help you extract every single comment from a post, then ScrapeBox is the one you should be relying upon. 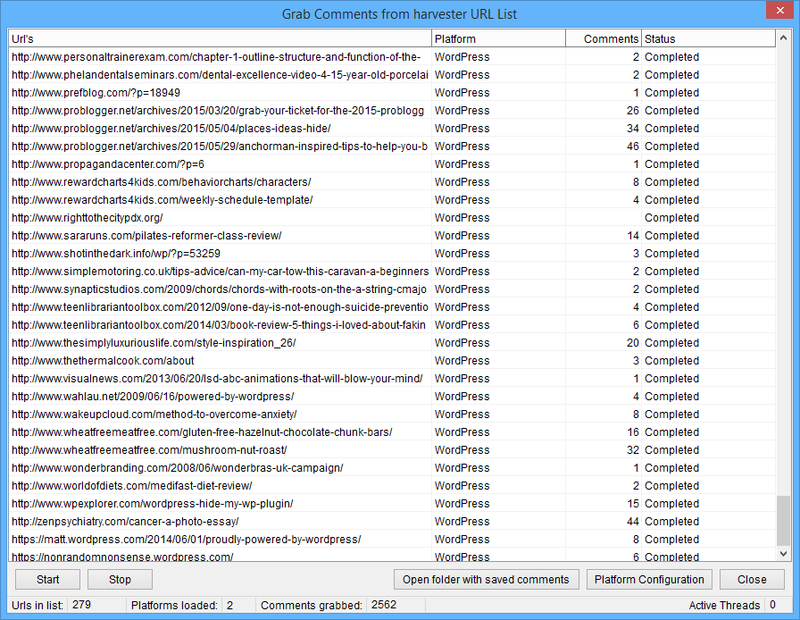 Its comment scraper feature is as simple as a cakewalk. This quick and multi-threaded feature allows you to load a list of WordPress URLs from where you can extract comments very easily. Furthermore, the feature even comes with several options to make things even easier for you. Right from skipping comments with links or URLs to ignoring comments with a smaller number of words and neglecting such comments with words mentioned in the blacklist, there is so much you can do with the help of this feature. Since these comments get saved in a text file, you can use them in several ways. There is no denying the importance of sitemaps when it comes to making URLs discovered. These sitemaps not just help search engines locate your content but also crawl all of your web pages so that they can rank higher on search engines. 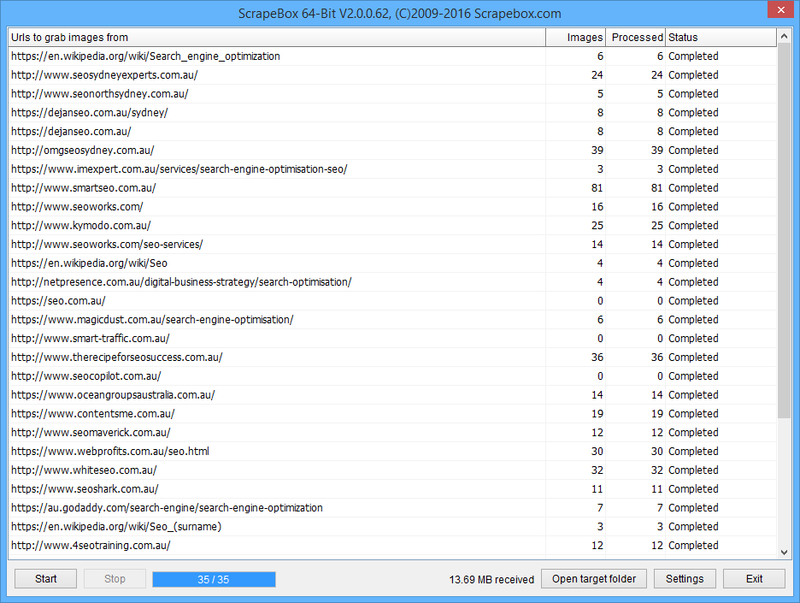 ScrapeBox comprises a powerful XML sitemap creator that can transform a list of raw URLs into an XML sitemap files. With this feature, it is even easier to execute this process as you can set your priorities and even experiment with settings. And the best part about this feature is that it doesn’t even consume a lot of time. The sitemap creator of ScrapeBox boasts of completing this process just within 15 seconds. Amazing, isn’t it? Another amazing feature that this tool offers is the YouTube downloader and scraper. With this feature in hand, scraping essential information from YouTube, downloading soundtracks or videos, and even scraping video metrics will become nothing less than a plain-sailing. The way this feature harvests video URLs by using YouTube options, you would be able to customize the parameters of search completely. For instance, you can even harvest such videos that were uploaded in the last entire day, week, month, or year. Once the videos are scraped, you can then assess them on the basis of the title, author, duration, number of views, number of likes & dislikes, published date, video genre, video quality, audio quality, top comments, and several other metrics. If you want, you can even sort videos by highest or lowest views, likes, dislikes, etc. This is surely one of the best ways to find popular videos, and you would even get to know the kind of videos that are attracting your target market the most. 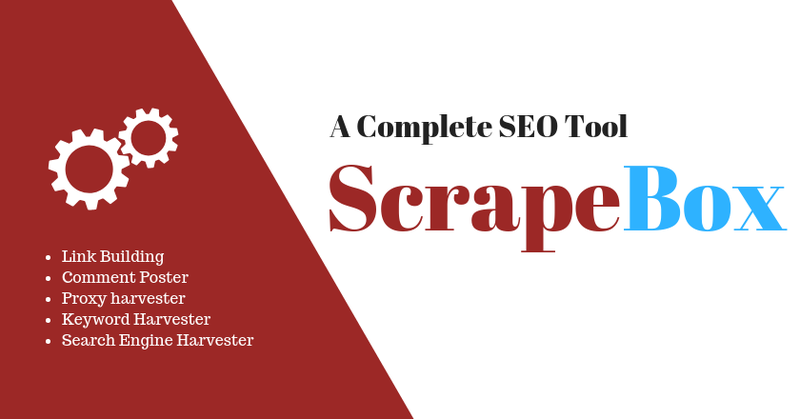 ScrapeBox doesn’t even provide amazing SEO services but can even be used as a perfect name and email generator. 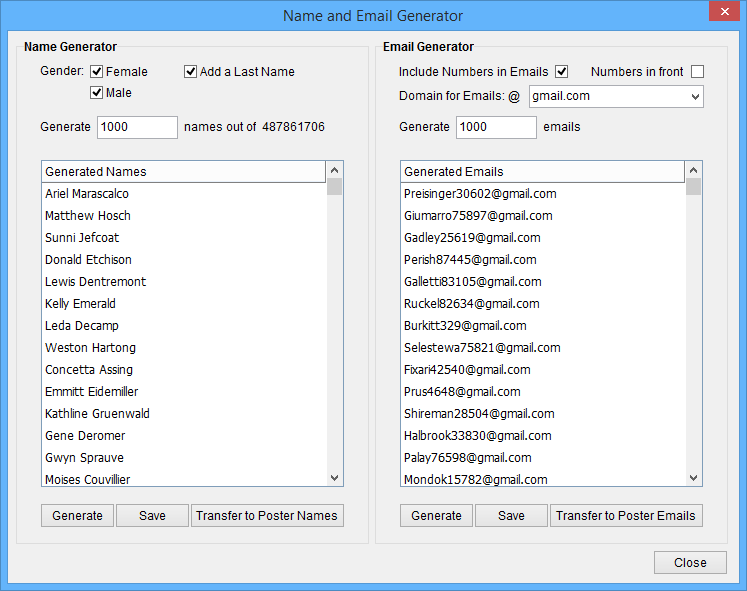 This feature fulfils the need to generate bulk names or email IDs. When it comes to the name generator, it provides an extensive list of female and male first as well as last names. And, believe it or not, this list can range up to half a billion with several combinations. If you want to scrape email IDs from web pages but don’t really know how to do it, then this is the feature that will allow you to execute this task very easily. Not just it harvests email addresses from web pages but can also keep your identity hidden or averts websites from blocking your IP address, thanks to its proxy support. Moreover, you can even customize the settings as per your own wish. Furthermore, if you wish to generate fake email addresses, this feature can fulfil that requirement for you as well. All you have to do is choose any @domain.com, and this feature can generate millions of email IDs just within a few minutes. Furthermore, the email generator can even add random numbers to provide uniqueness. However, one thing that you must keep in mind is that this feature only provides ideas and does not create email IDs for you. 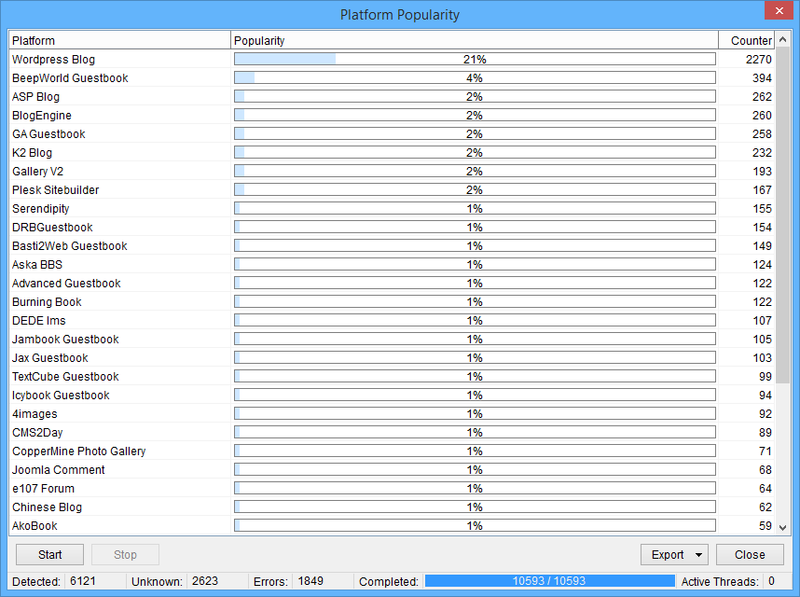 Moving forward, ScrapeBox even comes with an amazing platform popularity analyzer. With this feature, you can easily scan through the list and find out which CMS was used to build that particular web page. The way of identifying the platform for this feature includes analyzing the source code of HTMP and searching for different footprints. Also, this feature can analyze all those platforms where it supports posting comments automatically. The list of platforms includes 4image, AkoBook, Advanced Guestbook, ASP Blog, Aska BBS, Ard Guestbook, BeepWorld, Basti Guestbook, Burning Book, Blogengine, Bella Guestbook, cms2day, Chinese Blog, and much more. If you are looking forward to getting a quick and lightening image downloader that can help you download bulk images from URLs or websites, then look no further. With the amazing feature of ScrapeBox is all you would require for this task. This image downloader is proficient enough in assessing multiple URLs and downloading every single image available on the pages all at once. Thus, if a page has a specific gallery of images, you would be able to download it on your computer efficiently. Since this feature doesn’t necessitate a web browser, downloading bulk images simultaneously would be fast and error-free. At a time, you can download images from approximately 200 web pages or websites. Understanding the importance of search engine optimization and knowing some tricks and techniques can surely provide significant exposure to your business. And then, of course, it can help you in several ways. So, keeping this in mind, you would not have to spend a lot of time figuring out how to crack SEO for the best of the use. Just use ScrapeBox, which requires only a one-time payment, and you will be good to go with your business development.